We ALWAYS had an advent calendar growing up. Could there be or is there anything better than chocolate first thing in the morning? Pffff.. nope! Mom made sure we had one with little chocolate bells, or candy canes and we always got to keep them in our rooms. Which now as a parent I'd never allow. 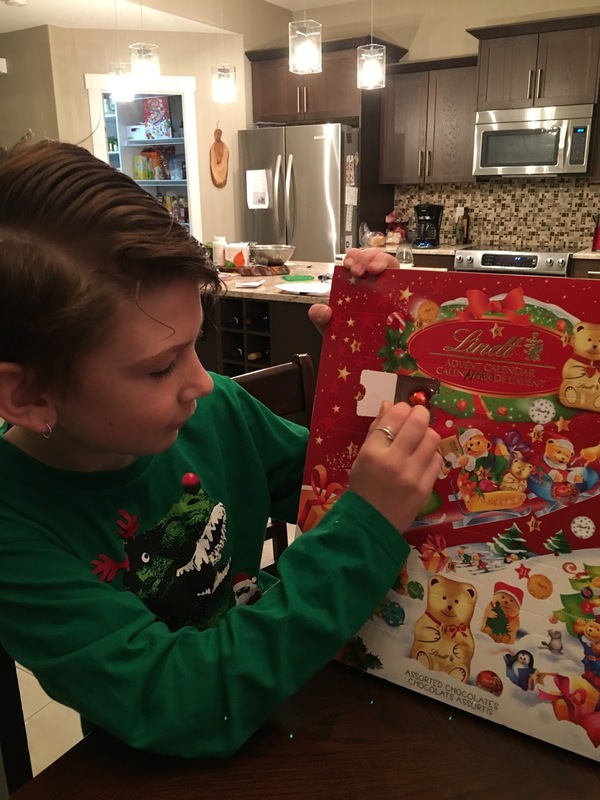 I, of course, would eat all of the chocolates on day one or two (probably why I don't allow my kids calendars in their rooms). I don't think it bothered mom much, she never let on that it did (or at least I don't remember). I just remember the excitement and anticipation of the first day of December knowing we would get a special treat every day. Even after I would ransack the entire thing devouring all chocolates with zero guilt, I would carefully close each door again and then open them accordingly on the matching day. Weird the things you remember. I have kept the tradition of Advent going ever since the kids were little. I made a mitten one that hangs on a clothes line. I fill each mitten and every morning the kids take the treats in them. And.. as all children should, they are stolen and emptied before the correct day. I often refill the mittens at least twice. 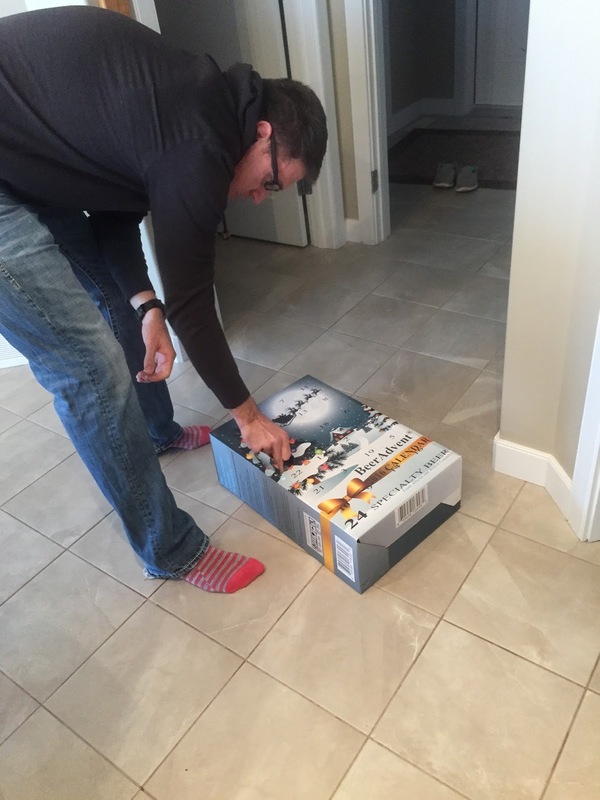 This year I bought the boxes to try something new. And, since meeting Jason I added a new part to this tradition. 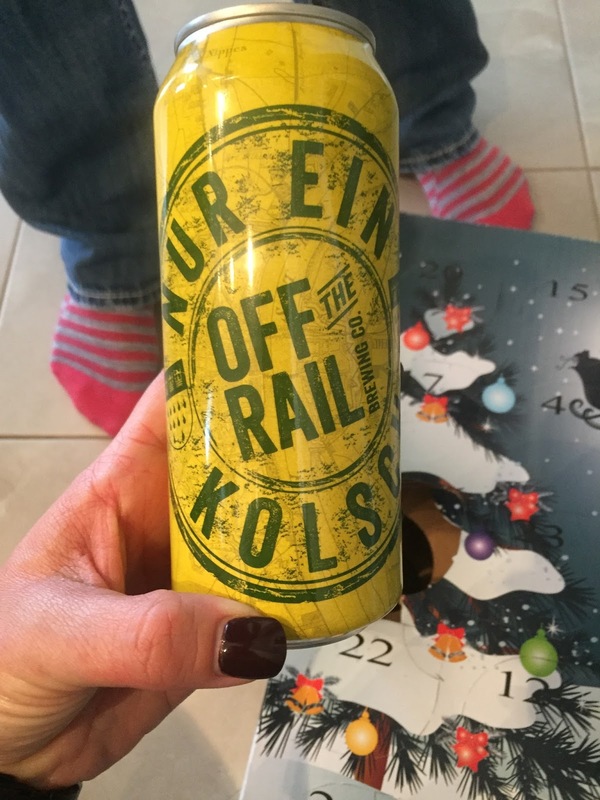 The beer Advent. I would like a wine one, so if anyone knows where I can fine one, I'd appreciate letting me know! I am grateful this dog is doing so well with the house breaking thing. I happily will take the irregular sleep thing vs having poop and pee everywhere in the house. I am grateful for Christmas concert season. I think I'm starting to enjoy them the older I get. I am grateful my friend is still here. Christmas can be a hard time of year for people, and sometimes harder for others than we understand. If you know someone who is struggling with depression or is talking about hurting themselves, please take time and reach out, listen when they need to talk. I hope to never get another message like that again.